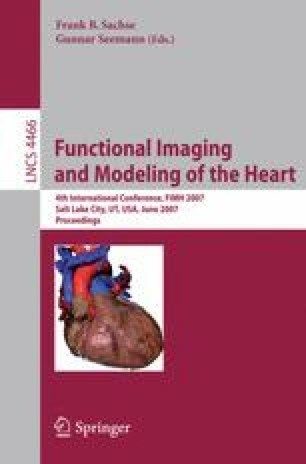 The construction of geometry models of heart-torso is critical for solving the forward and inverse problems of magneto- and electro-cardiography (MCG/ECG). Boundary element method (BEM) is a commonly used numerical approach for the solution of these problems and it requires the modeling of interfaces between various tissue regions. In this study, a new BEM (h-adaptive type) has been applied to the ECG forward/inverse problems. Compared with those traditional BEMs, the adaptive BEM can self-adjust the number and size of the boundary element (BE) meshes according to an error indicator, and thus can save a lot of computational time and also improve the accuracy of the forward and inverse solutions. In this paper, the procedure of the adaptive triangular mesh generation is detailed and the algorithm is tested using a concentric sphere model and a realistic heart-torso model. For the realistic torso model, to improve the numerical accuracy, a number of new nodes are added on the basis of initial torso BE meshes, and the corresponding node coordinates are determined using an approach called Parametric Fourier Representation (PFR) of closed polygons. The simulation results show that the adaptive BEM is more accurate and efficient than traditional BEMs and therefore it is a very promising numerical scheme for ECG forward/inverse problems.